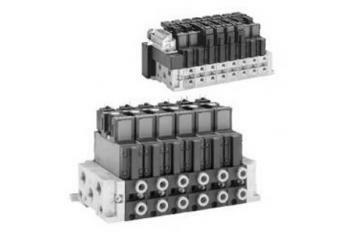 Valve terminal systems from Aventics are highly reliable, expandable, compact installation solutions specially designed for the food processing and other general pneumatic applications. Valve systems include Aventics innovations in compact, hygiene-sensitive, energy-efficient and lower-cost valve systems to suit your pneumatic application requirements. Standardised valve systems from Aventics include a range of electrically-operated valves that come in five standard sizes to suit your application requirements.